Are you using Gmail for managing your business contacts and connections? 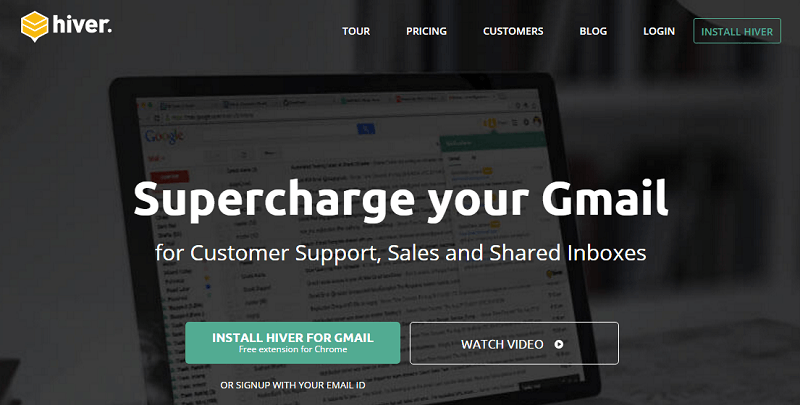 Do you need an app to supercharge your Gmail? In this post I’m going to talk about Hiver, an application that offers everything you need to boost productivity and improve your business with Gmail. Hiver (previously known as GrexIt) is a simple but powerful tool that, in association with Gmail, can help with your business sales, customer support, project and lead management or operations. It’s used by many companies around the world and is one of the highest rated apps for Gmail and Google Apps (here‘s the download link for the free extension for Chrome). 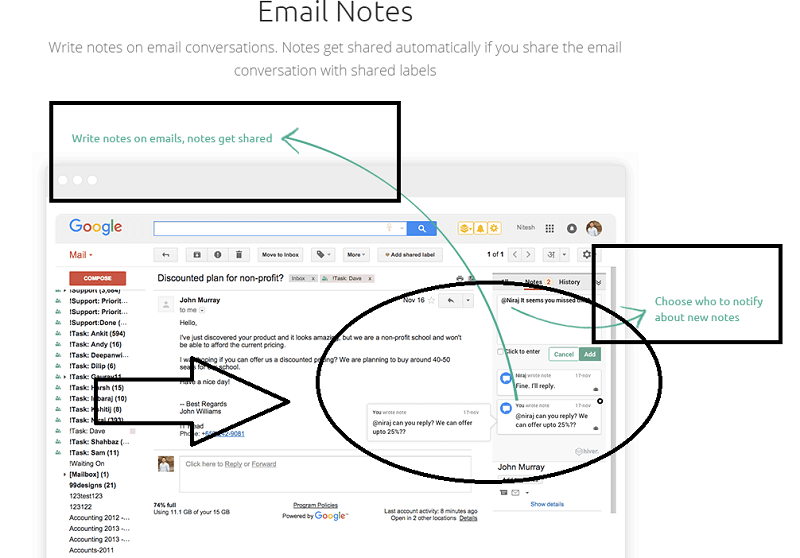 The main feature is “Shared Labels“, which you can use to share and synchronize email conversation with work colleagues. 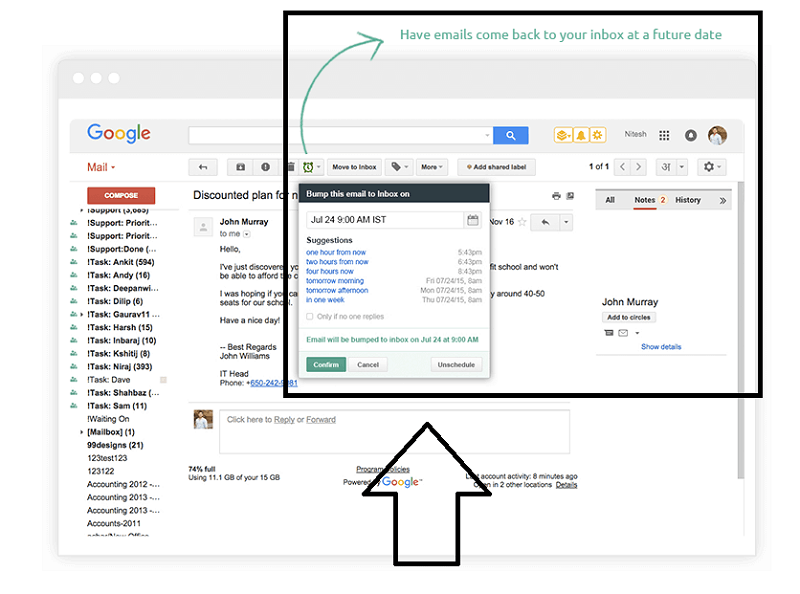 Basically users can share their Gmail labels to set tasks, track their status and deliver information to co-workers. 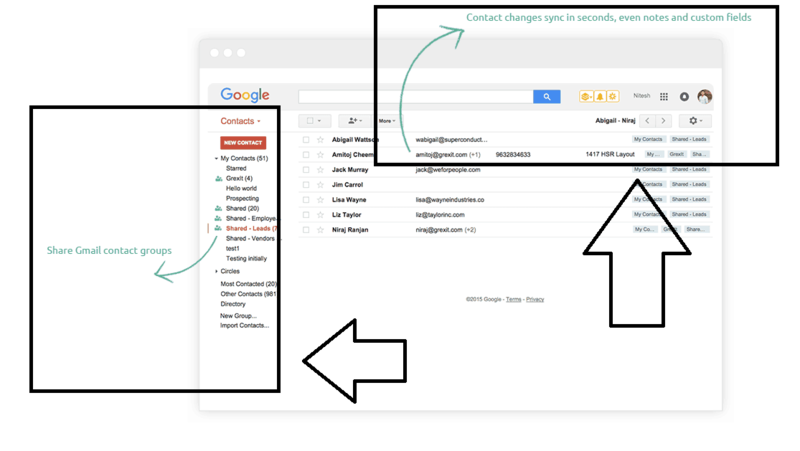 This is an useful feature when you need to share your Google contact groups with other Gmail or Google App users. Things like contact details, notes and custom fields can be shared and synced in seconds. 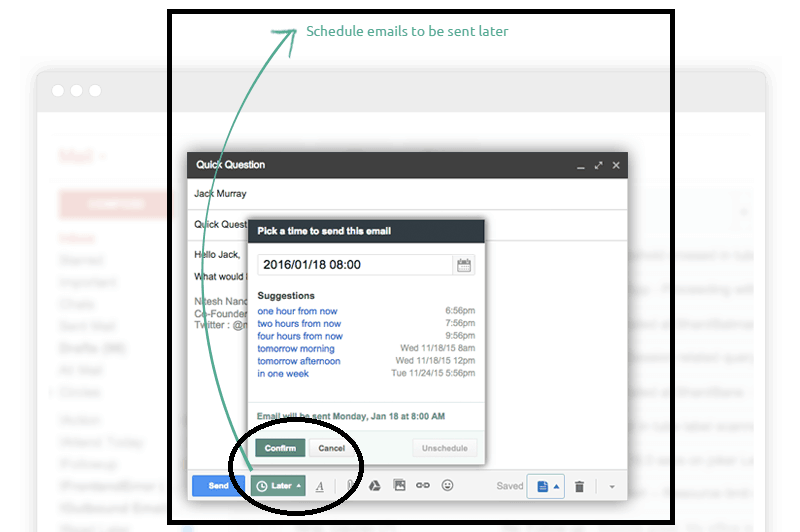 You can use this feature to schedule emails and send them at a specific time. That is an effective way to remind yourself about upcoming tasks or the ones you haven’t completed yet. This Hiver feature lets you bump emails back to your inbox at any time in the future. Another interesting feature useful to improve a business procedure or to give customers a better service, for example. Does it happen to write the same email with different contacts? With this feature, you will never write again repetitive emails. 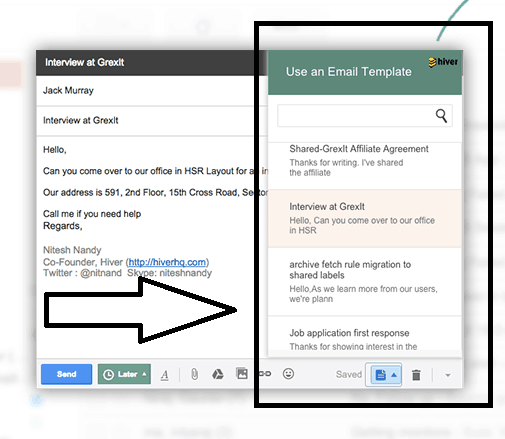 If inside your team someone has already replied to a specific message, you will know that by checking the Hiver note next to the email. The email and labels sharing gives every team member an overall picture of the project, just by using their email inboxes. Using shared labels the team can improve their work by collaborating with each other and give clients the best customer support. Great also for support tickets. 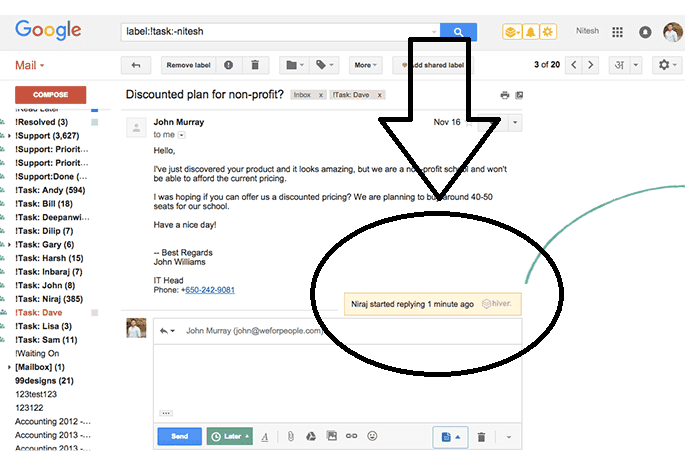 Delegate and track emails as tasks, manage your sales leads and Gmail contacts using shared labels. I took the time to check some testimonials, by reading some Hiver reviews in the Google Chrome webstore. Works great. Allows for users to share messages and add comments without having to forward or reply. I was forced to start working with gmail after years of using Outlook. Once i found this addon – it changed the way i can work… I can now share folders with my boss, like public folders. And the feature i use the most is the Notes. WOW – it saves me so much time. I add labels to my boss’s mail and add notes to help him and me to remember what needs to be done. Thanks! There’s a completely free plan, which grants up to 3 users and 3 shared labels, 50 emails/day, 10 email notes and email templates. 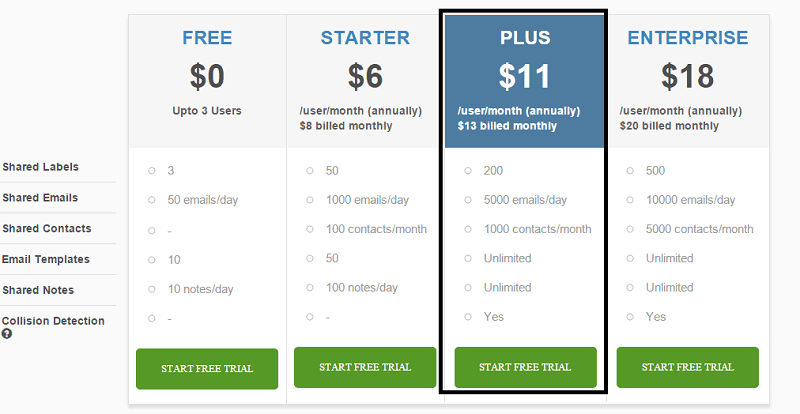 Every paid plan has a 14-days free trial. With no credit card needed for signing up. Hiver works right from your Gmail, and there is nothing hard to learn. If you think that a shared inbox could be useful for your team, then Hiver is the perfect app for you. Have you ever heard of Hiver? This is great! I love the idea of having templates at your fingertips. This is a major plus for my email system. I’m definitely going to give it a try and see what other ways I can use Hiver to help me in my GMail world. Thanks for sharing! Hiver is indeed an awesome tool to associate with Gmail. It has interesting and useful features, plus, with the free plan, you don’t have nothing to lose. Lol, I grabbed all this tips. God bless you bro. I love reading posts like this. Thanks. Great review. Hiver looks very promising l think I should give it a try. Thanks for the positive feedback, Tauseef . Thanks for Information about Gmail With Hiver. Your Article is impressive and very informative. I am now regular visitor of your website and bookmarked it. Glad you liked the information, Bruce. Hi Emmanuel, this post is an eye opener to me. So, gmail can offer all these. Are you going to test it, Mark?